April 25, 2002 – Missing the first 7 minutes of audio due to technical difficulties. 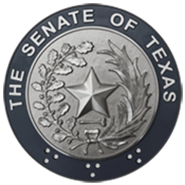 The committee shall implement the provisions of Section 5, HB 1839, 77th Legislature, and make recommendations regarding the structure and requirements for use of higher education excellence funding in Texas. The committee shall also review current higher education funding formulas and the Texas Higher Education Coordinating Board's procedures and recommendations regarding current formulas. The committee's report shall recommend ways to enhance the use of formula funding, including recommendations for implementation of a single excellence fund.